IBM has released the technical preview of a new open source tool that will allow deployment of Kubernetes clusters in Cloud Foundry-based application runtime environments. IBM demonstrated the Project Eirini beta at last week’s Cloud Foundry Summit in Philadelphia. Project Eirini aims to overcome a key hurdle in running Kubernetes in Cloud Foundry PaaS environments by providing a common scheduler. Currently, in order to run Kubernetes in Cloud Foundry public, private and hybrid PaaS environments, IT ops professionals must use two different schedulers. Kubernetes has its own scheduler, while Cloud Foundry uses Diego via the Bosh, the open source tool chain for packaging, deploying and managing cloud-native software. IBM proposed Project Eirini to replace the two schedulers with a common one for Cloud Foundry. Last fall, the Cloud Foundry Foundation’s Application Runtime Project Management Committee announced it had accepted Project Eirini as an incubation project. Google, IBM and Pivotal have three full-time engineers working on Project Eirini. SAP and SUSE have also committed to supporting Project Eirini. SUSE said it will have its technical preview next month and others have indicated there’s are in the works. All are among key providers of public and private PaaS environments based on Cloud Foundry, which many large enterprises now use for business-critical cloud-based applications including American Airlines, Comcast, Home Depot and T-Mobile. Project Eirini will address the widespread need to simplify Kubernetes in their Cloud Foundry environments. The project is considered critical because many organizations with Cloud Foundry environments, which lend themselves to 12-factor applications, also are using Kubernetes to manage their container-based clusters. Julz Friedman, the project manager overseeing IBM’s Project Eirini effort, demonstrated the technical preview during a keynote session at the Cloud Foundry Forum. Tom Petrocelli, research fellow at Amalgam Insights said removing that abstraction is an important capability. “The idea is to create an easier way to push to Kubernetes because all that all that work you have to do to deploy to Kubernetes that nobody wants to talk about, writing YAML files, and all that’s a pain,” Petrocelli said. IBM champions both Cloud Foundry and Kubernetes because they each lend themselves to different scenarios. 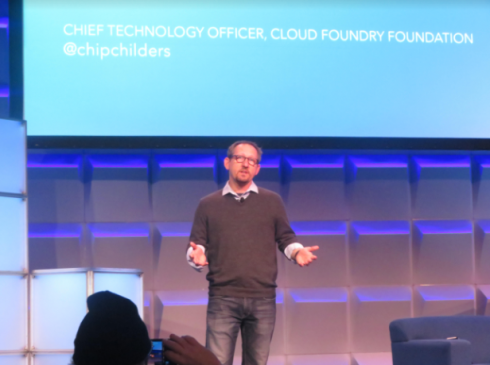 Cloud Foundry is suited to building new web apps, mobile backends and API integration platforms, while Kubernetes is optimal for running packaged applications and existing containerized workloads at scale, said VP and Fellow, Jason McGee, CTO of IBM Cloud Platform in an in interview with IT Ops Times.